Our drainfield fabric is perfect for protecting drainage areas from clogging due to silt and dirt. Both the 2oz and 3oz weights feature a high permeability rate allowing for water to easily pass throuh. 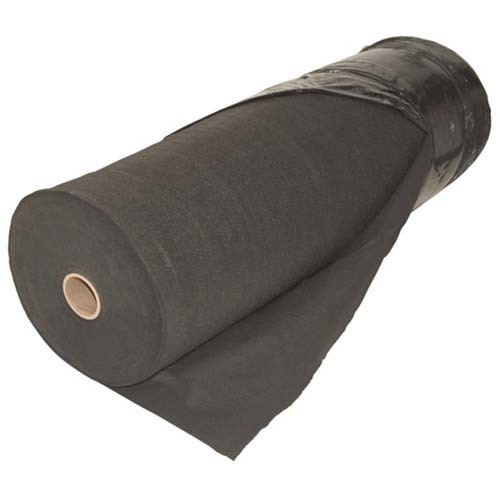 Aside from being perfectly suited for drainfields and french drains, this fabric can also be used as a lightweight general landscape or weed barrier fabric. We also provide heavy-duty drainage fabric for more demanding installations. Landscaping fabrics and drain field fabrics are both geofabrics that have similarities but also have many differences. Our landscape drainfield fabric also doubles as light weight landscape fabric. Also known as leach fields, they are used to remove contaminants and impurities from the liquid that emerges from a septic tank. 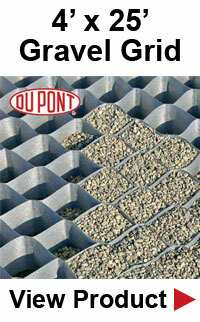 Drain field fabric protects sand filters from soil in drain fields that can clog and damage them. Landscape fabric is used for laying out gardens and other landscape projects. The fabric retains soil and keeps down the growth of weeds, while allowing water, air and nutrients to pass through. Once laid down, mulch or cedar chips can be placed on top. Landscape fabric is typically a heavier grade than drainfield fabric and less permiable. Both these fabrics come in different widths for different projects. The most widths are 3', 4' and 6' while larger widths are available. They both belong to a group of fabrics called geotextiles. Geotextile fabrics are used in an array of drainage, engineering and landscaping projects. These synthetic fabrics are penetrable allowing gases and fluids to pass through. This is why geotextiles are perfect for creating a barrier while allowing the passage of water and air to pass through the barrier. Both landscape and drain field fabrics are geotextiles but are products intended for very different purposes. Landscape fabric is a physical barrier where drain field fabric is a filter. Geofabrics, are made for landscape and drain field and have numerous functions. They are designed to aid in the stability of surrounding soils by decreasing erosion and improving drainage. Actually, this concept is nothing new, going back to the ancient Egyptians who placed fabrics into the ground with vegetation for healthier growth. The biggest difference is through the modern process of producing non-biodegradable fabrics that will last a long period of time in your garden or on your construction site. These fabrics have two types: woven and non-woven. The non-woven fabric is used in drain fields, for erosion control and overlays for pavement. Woven fabrics offer a great deal of durability and strength but does not function as a filter in drain fields. Drain fields must be able to breath in order to function properly and that's where drain field fabrics come into play. Laying these fabrics between the soil and stone, in order to keep excess soil particles and sediments out. These particles and sediments will hinder the drain field's filtering abilities, which is why the fabric is very lightweight in comparison to landscape fabric. Although there have been occasions when standard weight landscape fabrics have been used in laying a drain field, it is not recommended. Respectfully, the fabric for drain fields should not exceed 3.5 oz per square yard. A trench of rock and a perforated pipe on top is standard for a drain field. The pipe is covered with a drain field fabric then a layer of crushed stone, followed by another layer of the fabric and lastly, a layer of soil that is not less than 6-inches deep. Filtration happens due to the interaction between soil and water flowing in a drain field. The lightweight properties of this fabric helps this interaction without causing a sediment buildup. Penetrability stays within the fabric due to very tiny holes, allowing for the effect of a reverse filter for the surrounding soil. Drain field fabric also blocks root growth that could seriously damage the drain field. This is very similar to landscape fabric blocking weeds. Landscape fabric is heavier than drain field fabric. It's placed over soil to prevent the growth of weeds, prevents erosion and offers a decorative appearance. Like all geofabrics, some are non-woven while others are woven. The woven fabric used in landscape fabrics has a longer lifespan and offers better durability in a garden. Similar to drain field fabric, landscape fabric allows water and air to move through the soil. This also ensures the soil's temperature will not alter very much, protecting plants and their delicate root systems. Landscape fabric works very well under gardens, sidewalks, decks and as a decorative ground cover such as landscaping rocks and various mulches. With the development of Geotextiles/Geofabrics many natural situations now have solutions. Whether forming a barrier to protect plants from weeds or for filtering out damaging elements in drain fields. Whether woven or non-woven fabrics, both have prominent roles if used properly. Even though landscape fabrics and drain field fabrics have many similarities, they also have differences. Landscape fabric retains soil and serves as a barrier. Drain field fabric allows for the flow of water and serves as a filter. Landscape Discount offers a wide variety of both drainfield fabric as well as weed block and heavy-duty landscape fabric which can be used in a variety of different applications. If you have any questions pertaining to our landscape fabric feel free to give us a call at (800) 524-4161.